Hi-P International's 3Q18 PATMI of SGD33.8m (-11.9% y-o-y) was ahead of our expectation as we overestimated the margin erosion from pricing pressure and lower yields. As such, we raise FY18-20E EPS by 1-24%. Still, we expect a tough FY19E due to a challenging demand environment, pricing competition, reduced economies of scale, and relocation costs. Our ROE-g/COE-g Target Price is unchanged at SGD0.84 after the revisions after rolling forward to a lower 1x FY19E P/B from 1.8x FY18E previously. 3Q18 sales fell 8% y-o-y due to less high-component content projects, weaker market demand, and slower ramp up for certain products. The fall in sales was attributed to multiple customers. The Nikkei Asian Review recently reported that HIP’s smartphone customer has cancelled its production boost for the cheapest model among this year’s launches, suggesting market demand is underwhelming. Meanwhile, HIP’s smart-speaker customer is facing market-share losses due to aggressive tactics from competitors. 3Q18 gross margin fell 1.1ppt to 15.5% y-o-y due to pricing competition and lower yields. Currently, we do not see indications pricing will improve in FY19. 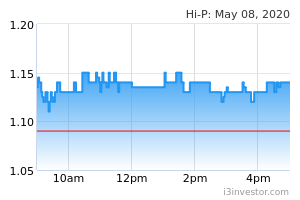 HIP wants to diversify its product mix amid a market with weak volumes. This could reduce economies of scale as a wider mix requires more resources. FY19E profitability could also be weighed down by relocation costs, as some resources are shifted to Nantong and Thailand. Management is concerned about a weak demand environment in FY19E due to the direct and indirect effects of the trade war. As such, the company indicates sales may remain flat on a y-o-y basis. Reflecting cautiousness, the interim DPS was cut by 50% to SGD1cts. Currently, we do not see rerating catalysts. A key downside risk to our estimates is if the trade war escalates or if the demand outlook worsens. We raised FY18-20E EPS by 1-24%, as we overestimated the erosion in profitability as a result of pricing pressures and a decline in yields. While HIP is confident about FY18E prospects, the outlook ahead is uncertain and present difficulties could persist. As such, we have moderated our FY19-20E sales forecasts by 5%. Our ROE- g/COE-g Target Price is now based on 1x FY19E P/B, based on FY19-21E average ROE of 9.2% and LTG of 2%. 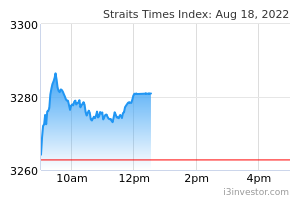 HIP saw a FX swing of SGD8.8m from a net loss of SGD8.8m in the year ago period to a net gain of SGD8.8m. For comparison, 8M88/88 PATMI accounted for around 88% of full year PATMI. a slower ramp up of certain projects on a y-o-y basis. Management attributed the fall in sales to a wide range of customers. Recently, the Nikkei Asian Review reported that HIP’s smartphone customer has cancelled a production boost for the cheapest model of this year’s release, suggesting an underwhelming market response. Meanwhile, HIP has observed that its smart-speaker customer is losing market share due to aggressive tactics from competitors. As a result of lower yields and pricing pressure, gross margin fell 8.8ppt y-o-y to 88.8% ppt. We expect profitability to remain under pressure in FY88. Management concurs that the pricing environment could remain difficult. HIP might also lose some economies of scale as it intensifies efforts to diversify its product mix. A wider product mix with lower volumes will require more resources than a narrower mix with larger volumes, the latter being the operating environment that HIP enjoyed in FY88. Finally, HIP expects to incur some relocation cost in FY88 as it shifts resources to its Nantong site and a new rented factory in Thailand. Despite stronger efforts to win more projects, management currently looks for FY88E revenues to potentially be flat y-o-y. If not for the uncertain demand environment, HIP might expect a single-digit increase in revenues. The new Thailand plant is expected to be ready by 8Q88 to cater for customers who are trying to shift production out of China as a result of the trade war. Better-than-expected orders and execution from existing projects. New customer wins and new projects. Improved communication regarding strategy, as well as cost-control efforts. Micro-and macro-driven risks that negatively affect end-demand of products Hi-P participates in. Market share losses and/or payment defaults from customers. Sudden and steep declines in the USD (revenue exposure) against the CNY (operating exposure) and SGD (reported currency).